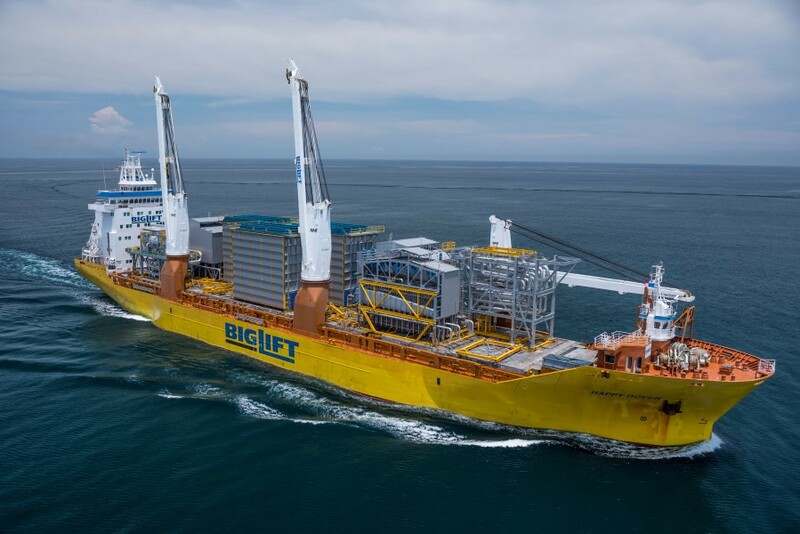 Last June, BigLift Shipping’s Happy Dover has delivered a deck full of modules from Mokpo, Korea, to Puerto La Cruz Refinery, owned and operated by Petroleos de Venezuela SA (PDVSA) and located 300 km east of Caracas in the state of Anzoátegui, Venezuela. All modules are part of an expansion called the Deep Conversion Project. The shipment consisted of three radiant boxes (weighing 278, 275 and 270 tons), three penthouses (two weighing 200 tons and one 128 tons) and two steam drums (weighing 224 and 126 tons). The approximate dimensions of the modules were 20-21 metres length, 7-10 metres width and 14-15 metres height. All modules were stowed on deck. 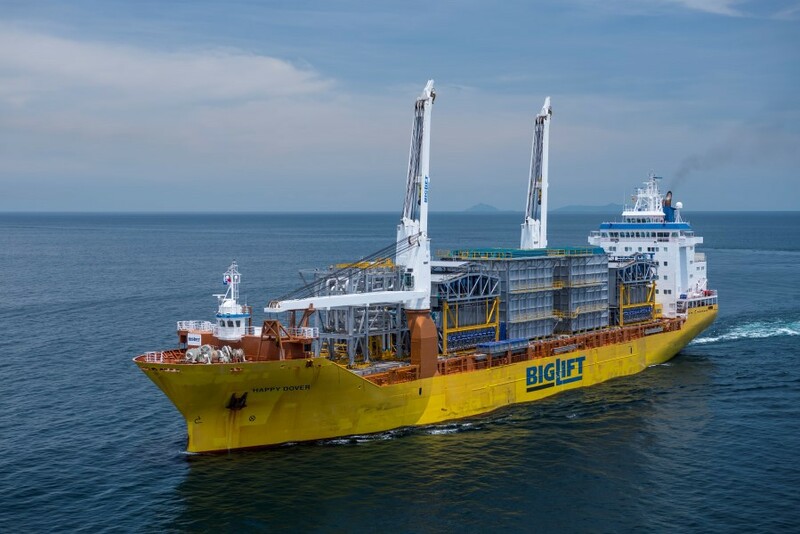 The challenging loading, sea fastening and discharge operations went successful with an average of two modules per day. The loading and discharge was done via SPMTs, brought along side of Happy Dover. Seven pieces were loaded and discharged in single lift operations. Because of the stowage position of the eighth piece on the forward deck, the 126 tons steam drum was loaded and discharged in tandem lift. The project required careful planning with the client to review the lifting frames and design the lifting and sea-fastening capabilities of the modules (installation lifting/lashing eyes). This shipment was the first of two consecutive voyages. Happy Dover’s identical sister vessel Happy Dragon is currently on her way to deliver the second shipment. Happy Dover was photographed near Balboa on her way to the Panama Canal.